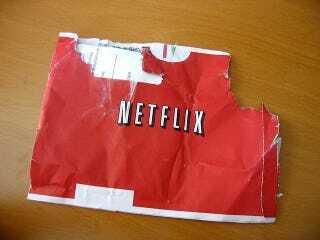 When Netflix announced last year that it was splitting its DVD rental service from its streaming service, consumer anger mostly centered around how subscribers would be getting fewer services for the same price. But part of the PR disaster was about how terrible the name Qwikster is, because, let's face it, it's pretty much the worst name you can choose for a DVD business. What could be a better name? Netflix bought the domain name "DVD.com" today. At the moment, DVD.com redirects you to Netflix streaming, which is nice. And Netflix has said they don't have any intention to spin off their DVD business again. But companies don't presumably spend a ton of cash on a valuable domain name for a convenient redirect, so perhaps we'll be seeing the split again.